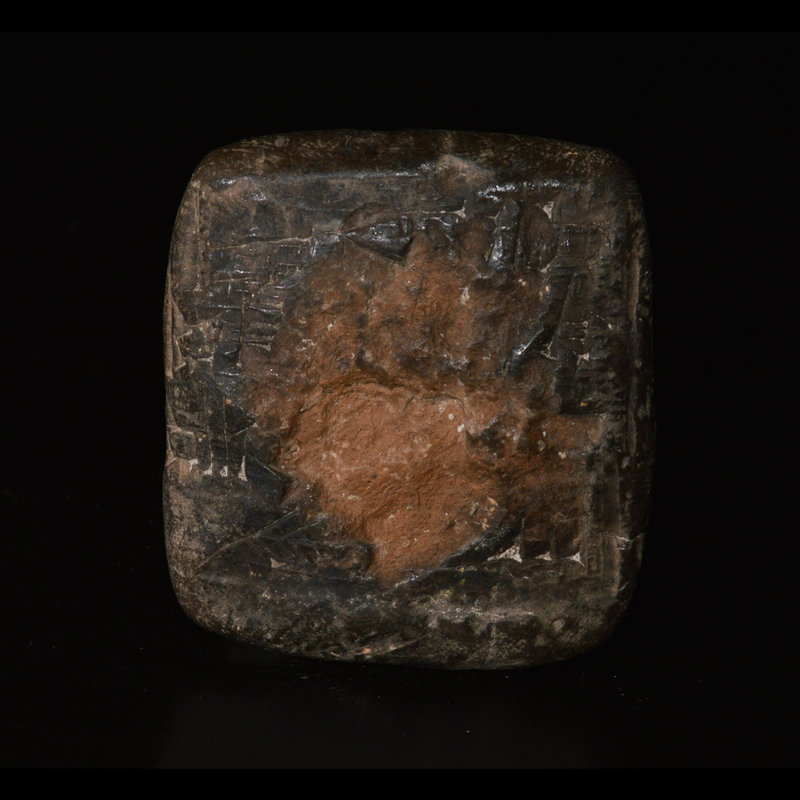 A Sumerian clay tablet with cuneiform inscription on two sides. 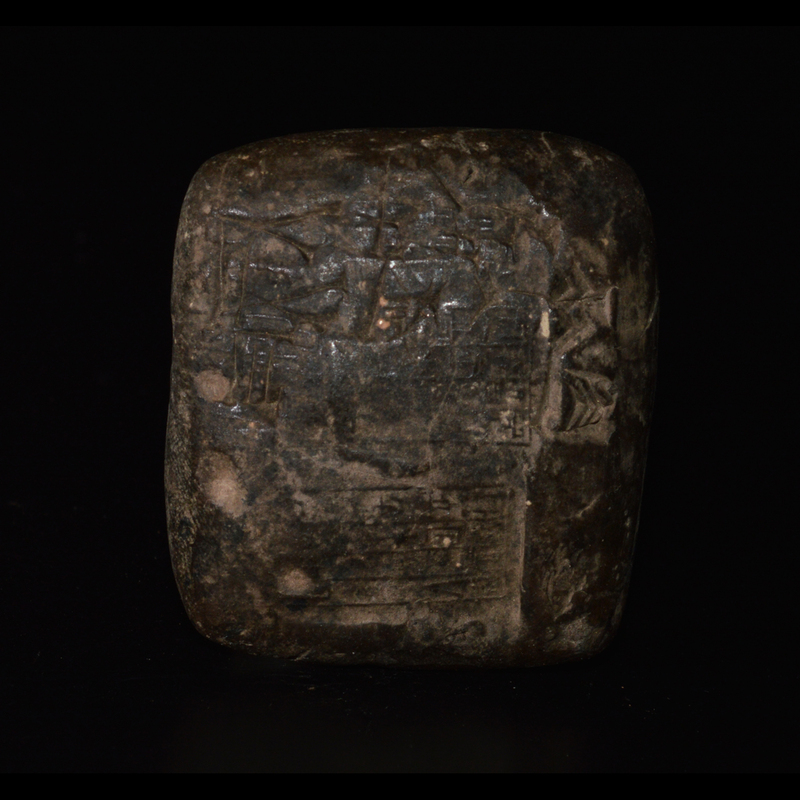 One side with sealings with cuneiform. Minor section of loss to one side.